It's never too early to promote children's creativity! 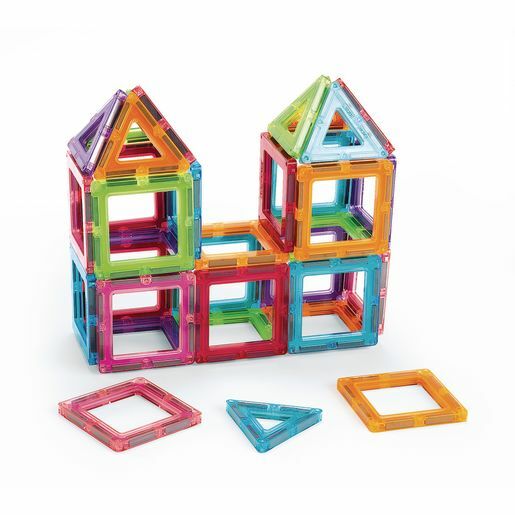 These brightly colored magnetic frames are fully compatible with all of our Building Brilliance® products. The 20 equilateral triangles and 48 square frames are ideal for light exploration and imaginative building play. Triangles are 2-1/2"L and squares are 2-2/3"Sq.